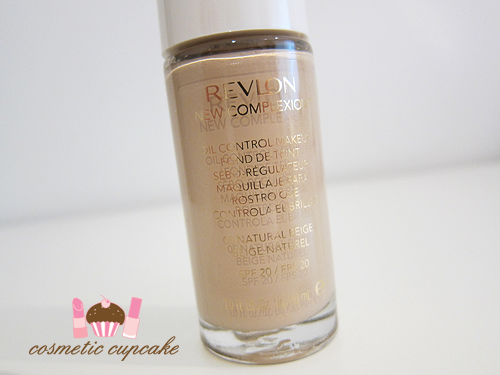 Cosmetic Cupcake: Revlon New Complexion foundation review and a blogger make-over! 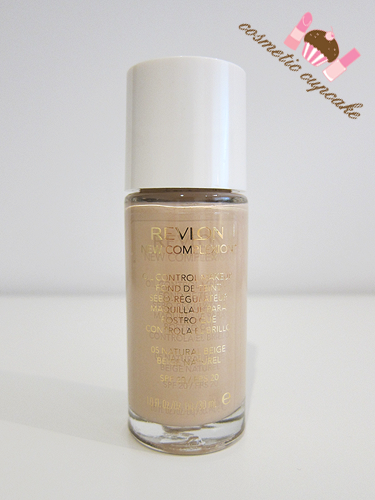 Revlon New Complexion foundation review and a blogger make-over! Hi ladies! 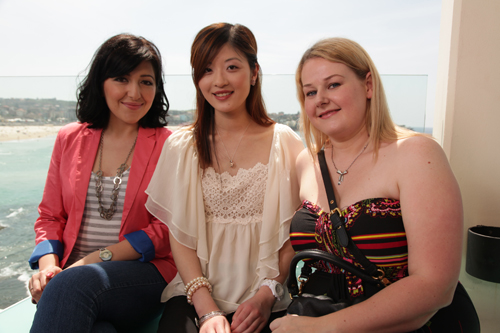 A few weekends ago, a few beauty bloggers and I were invited to have makeovers done by the Revlon team at the iconic Bondi Icebergs using the new Revlon New Complexion foundation. We were told to arrive with no makeup on (I nearly fainted when I read this!) so we could have before and after pics taken. Keep reading below for my review of the foundation and a few pics from the event! Boy was it a gorgeous day to be at Bondi!! Perfect Sydney weather and the perfect location - if you come to Sydney you definitely need to visit Icebergs! 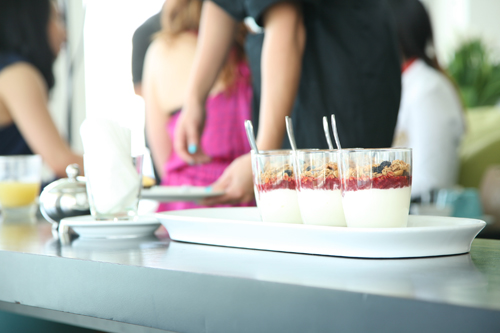 We were treated to yummy brunch which included delicious smoked salmon tarlets and yoghurt before being pampered by the lovely Revlon makeup artists. I've now had a proper chance to road test the New Complexion foundation and I am LOVING IT! "A shiny face can be a problem for all of us – but not any more with new Revlon New Complexion® Oil-Control Makeup, perfect for giving you a fresh look that is shine free! Revlon introduces New Complexion® Oil-Control Makeup with an oil-controlling benefit that addresses the needs of younger women who want to wear a makeup that is suitable for their skins. Oil and clogged pores is one of their top concerns, especially in warmer temperatures. Containing oil-absorbing spheres that put an end to shine once and for all, Revlon New Complexion® Oil-Control Makeup will leave you feeling confident and shine free, all day long. This advanced oil-free formula won’t clog your pores and will leave your skin with a soft luminous finish so you can say goodbye to shine!" 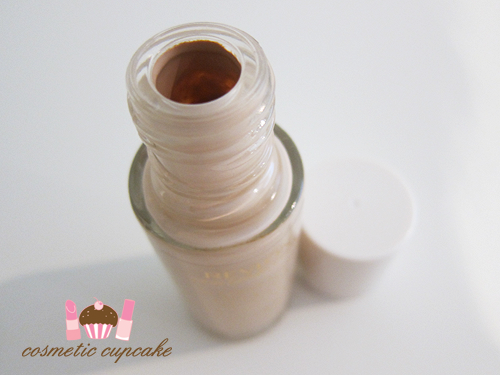 I was kindly sent the New Complextion foundation in Natural Beige to try out and it matches my NC20 skin very well. The makeup artist actually used Sand Beige on me on the day which is more yellow toned but I like the way Natural Beige looks on me. The formula is very lightweight and quite runny so it blends like an absolute dream. I find it gives medium coverage but is easily buildable and it feels wonderful on the skin. It comes packaged in a round glass bottle and contains SPF 20. Overall: Revlon New Complexion foundation has become my new everyday foundation and my HG drugstore foundation!! It is hands down a winner in my book and the price point for us Aussie ladies is EXTREMELY reasonable. I can't believe I haven't tried Revlon foundations before. I am loving the way New Complexion makes my skin look - it's very natural and it feels fantastic on the skin. I hate foundations that feel heavy and this feels like you're wearing nothing at all! I am going to be wearing this a lot in Summer because of this. I love that I can build the coverage up and you don't need to use much at all for a full face. It blends like an absolute dream and lasts a whole day of work for me. I have combination skin and I find it controls my oiliness very well yet doesn't feel drying on my cheeks. I also find it doesn't fade which I'm very impressed about because my more expensive foundations do tend to wear after a long day especially in my dry spots whereas New Complexion doesn't at all. The only negative is the packaging. I am not a fan of it AT ALL. A glass bottle with a huge opening? Mess galore! Especially if you're as clumsy as I am x) If I'm not concentrating I end up tipping more than I need onto my hand which is waste. Please Revlon - change it to a pump or squeezy bottle! Will I repurchase? A definite YES. Details: Revlon New Complexion foundation is available now in 6 shades from leading department stores and pharmacies for $24.95. You can take a look at my before and after photos (and pics of the other gorgeous bloggers!) 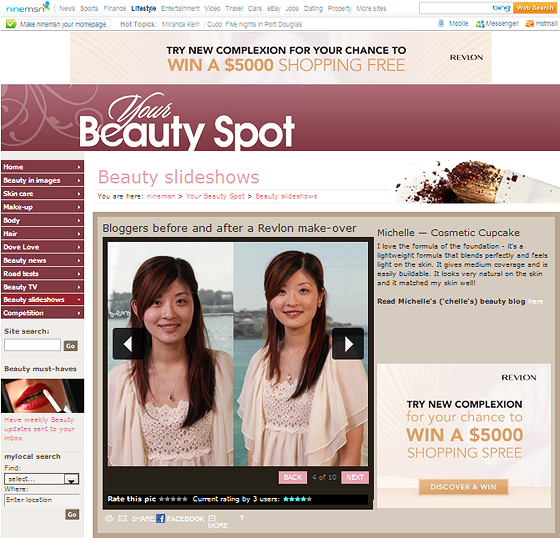 on the ninemsn Your Beauty Spot site - I'm blogger number 4! A bonus shot for you of Lilit, me and Anita after our makeovers! Have you tried the Revlon New Complexion foundation? What other Revlon foundations would you recommend? 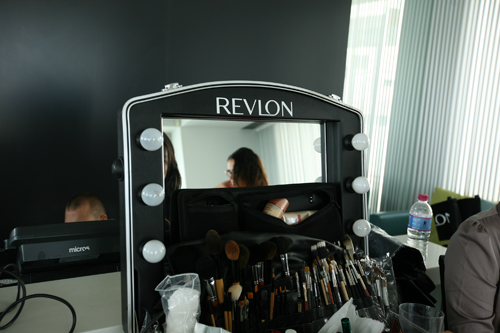 I was invited to the event as a guest of Revlon. The product featured in this post was sent to me for consideration but this in no way influenced my review in any way. As always, my reviews are my 100% honest opinion. My Disclosure Policy can be viewed here. You look beautiful in the photos. Great review - really makes me want to try out this foundation since I've got combination skin as well. Also, the heat and humidity is pretty high on Guam too so makeup melts off my face if it isn't a good quality. BTW your blouse is so pretty, I love it! Can you post INCI ingredients? Please. You look fantastic. Also, awesome for revlon for the cool public relations event. This foundation sounds like it would rock on me since I have oily skin. Currently I do like their Colorstay foundation too, but like you I hate the no pump. Wow! Great job!!! Revlon is great at make up! Most people were became more radiant with the make up.... But that's why it exists, right? ;) You all looked fabulous! I usually bypass Revlon...i'm rethinking that now.